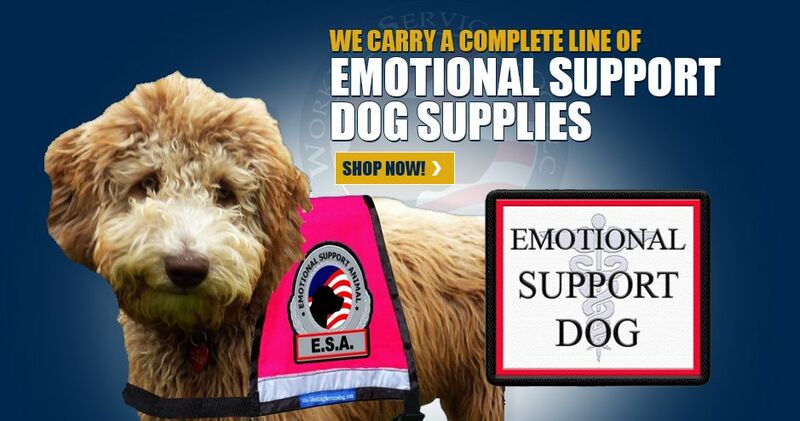 We are always available to help you order your service dog, emotional support animal or therapy dog supplies. 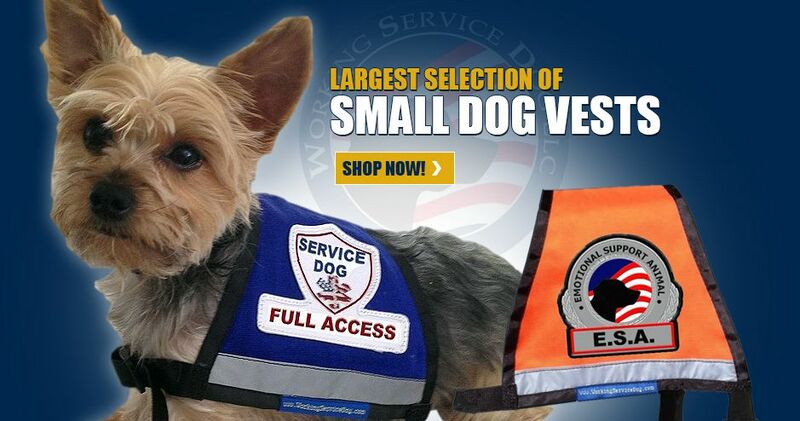 Service Dog Vest is an exclusive manufacturer of service dog vests, emotional support dog vests and accessories for all Working Dogs. 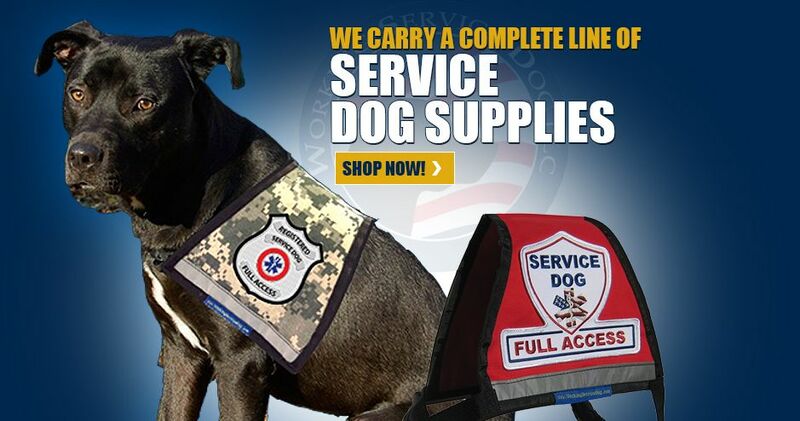 We carry a complete line of identification products for Service dogs, ESA’s, Therapy Dogs, Companion Animals and Assistance Dogs. vest products come in a wide range of colors and fabric options as well. are proud to provide quality products, and prompt, professional service. WHY USE A VEST OR I.D. 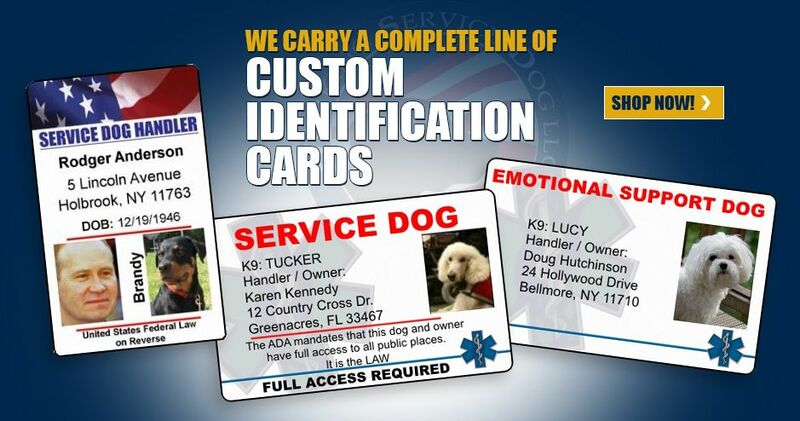 TO IDENTIFY YOUR SERVICE DOG? animal is not to be petted or given treats as perhaps a regular pet could be. 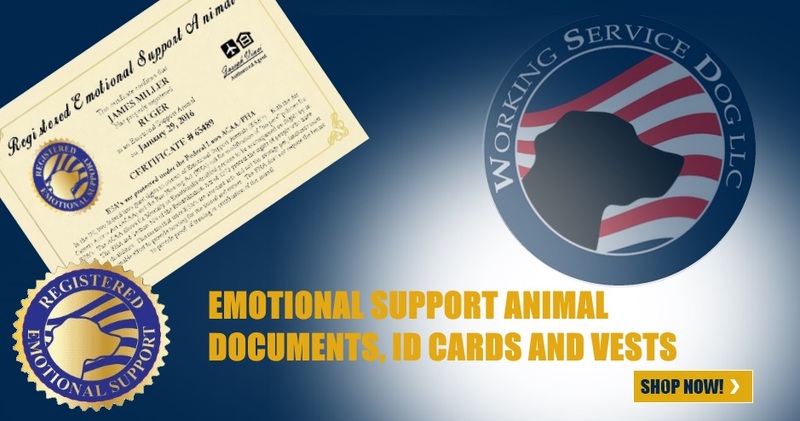 it is indeed not an actual working, emotional support, service or therapy dog. or other requirements of the ADA, we encourage you to call the U.S. Department of Justice & toll-free ADA Information line at 800-514-0301 (voice) or 800-514-0383 (TDD). 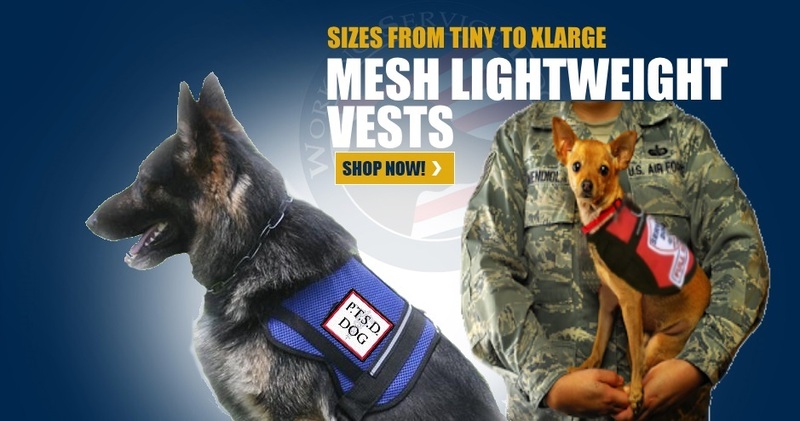 © 2017 Service Dog Vest. All rights reserved.